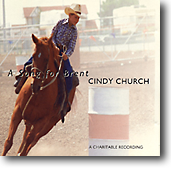 A Song for Brent was a special cd single released in 1993, to help raise funds for “The Song for Brent” Society. The Canadian Country Music Awards distributes a “Humanitarian Award” that recognizes an outstanding contribution in support of humanitarian causes through country music. “A Song for Brent” received the Humanitarian Award in 1993. The individual player contains the song – in the song’s entirety – for your enjoyment.